Abstract: Objective approach to the pathogenesis, clinical characteristics, diagnosis and treatment on gastroesophageal reflux disease (GERD) with chest pain as primary manifestation. Method a retrospective analysis on 16 patients with chest pain excluded of cardiac or esophageal structural disease. Result after 2-4 weeks anti-reflux therapy, 9 among which completely relieved of chest pain and reflux, 5 (31.25%) significantly relieved, and only 1 (6.25%) without any improvement, the total efficacy is 93.75%. Conclusion the complicated pathogenesis and clinical manifestation of GERD can easily be misdiagnosed, its key diagnostic procedure is necessary examination combined with proton pump inhibitor experimental treatment. A recent research from Japanese scientists revealed that people who overeat frequently have a higher risk of early deterioration of brain. It is said that long-term overeating brought too much calorie into body, which leads to fat excess and high blood fat, resulting the increase of a substance called “fibroblast growth factor”, inducing the scleratheroma of brain arteries, reducing the oxygen and nutrition supply for brain, therefore drop of memory, mental retardation and brain deterioration would be expected. The amount of food and drink is related with the daily habit of a person, some people tend to overeating, not because of hungry, and it’s just for a habit from long-term lifestyle. Both eating too fast and overtime could result in overeating. It is hard too control your appetite against favorite food also serves as an important reason. People would eat 1 or 2 hours if they eat together or thinking of something else. Eating continuously and with attention distracted into chatting or other things, people would have a slower response to bellyful, which results overeating in the meantime. Besides, if people eat too fast, the speed surpasses the signal speed of bellyful, although they have eaten enough, but the brains haven’t got the signal, so the eating continues and leads to overeating. In daily life, we also have such an experience that although we don’t feel hungry, but with delicacy on the table, we just can’t help to eat a little more, thus results overeating. Children with lower IQ have an increased risk of developing schizophrenia, depression, generalized anxiety disorder and other psychiatric problems as adults, a new study that spanned more than three decades shows. Lower childhood IQ was also associated with more persistent depression and anxiety, as well as an increased risk of having two or more psychiatric diagnoses by age 32, say researchers from the Harvard School of Public Health. The findings were published online Monday and in the January print issue of The American Journal of Psychiatry. The study included more than 1,000 New Zealand children born in 1972. They were initially assessed at age 3 and interviewed and tested on their overall health and behavior multiple times until they reached age 32. Their IQs were assessed at ages 7, 9 and 11, and psychiatric disorders were assessed at ages 18 through 32. The researchers found no link between lower childhood IQ and substance dependence, simple phobia, panic disorder, or obsessive-compulsive disorder. While the actual mechanism that increases the risk of certain psychiatric disorders in people with a lower IQ as children isn't known, there are a number of possible explanations, study author Karestan Koenen, an assistant professor of society, human development and health at Harvard, and colleagues wrote in a university news release. Lower childhood IQ may indicate a difference in brain health that makes a person more vulnerable to certain disorders, the researchers suggested. Or it may be that people with lower childhood IQ are less able to cope with the complex challenges of modern life, and therefore may be more vulnerable to developing mental health problems. The findings may help improve treatment of patients with psychiatric disorders. "Since individuals with persistent and multiple mental disorders are more likely to seek services, cognitive ability may be an important factor for clinicians to consider in treatment planning," Koenen said in the news release. "For example, individuals with lower cognitive ability may find it harder to follow instructions and comply with treatment regimens. By taking clients' cognitive ability into account, clinicians may improve treatment outcome." The study may also prove useful in prevention efforts. "Educators and pediatricians should be aware that children with lower cognitive ability may be at greater risk of developing psychiatric disorders. Early detection and intervention aimed at ameliorating mental health problems in these children may prevent these problems from carrying over into adulthood," Koenen said. Experience Years of translation experience: 14. Registered at ProZ.com: Mar 2009. Became a member: Mar 2009. 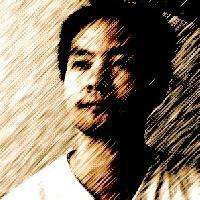 Professional practices Gilbert Lin endorses ProZ.com's Professional Guidelines (v1.1). Please be sure to use a translator with solid medical background for you medical related projects. Medical documents are life-concerned, making accuracy and error-free as its top priority. Such translation not only requires linguistic talent, but also solid medical knowledge. I worked as an active linguist and a medical researcher in Chongqing, mainland China. As a researcher, I've published 2 articles in major scientific journals focusing medicine. The publications are one from Elsevier's journal Medical Hypotheses, and the other one on Wiley's Human Brain Mapping. The in-depth knowledge of medicine is the very reason that I ‘ve got good reputation from various agencies. I am the Chinese Language Lead of medical project for Wikipedia, through this channel, we aim to provide people with medical knowledge that is clear and easy to understand. Professional medical English translator with 6 years experience and licensed physician of PR China. Regarding my interpretation expertise, I received First award of Chongqing municipal of the 2008 “CCTV Cup” English speaking contest. and First Prize in National College English Contest in 2006. ^ ,Lin Y, Zou Q, Li H (2009) Tipping the balance: anti-tumour necrosis factor alpha therapy may damage cerebral nerve reservation. Med Hypotheses（IF=1.41） 73: 958-960. ^ , Lin Y, Zou Q, Li H (2010) Localization of cerebral functional deficits in patients with non-neuropsychiatric systemic lupus erythematosus. Human Brain Mapping（IF=6.25）32: 1847–1855. DOI: 10.1002/hbm.21158. ^ Personal trados certification page.